where φ is a smooth function, which vanishes or decays very fast for n larger than N. Such sums are called smoothed sums. This trick is useful because it often turns out, either that the original problem leading to the first type of sums could be treated using the second type; or that understanding the smoothed sums may be the right path to understanding the first ones. General discussion: The underlying facts behind this trick are two elementary properties of harmonic analysis: (1) a Fourier (or similar) transform of a product is the convolution of the Fourier transforms of the arguments; (2) in the sums above, one of the arguments in the product is an (implicit) characteristic function of the interval of summation, and Fourier transforms exchange properties of regularity with properties of decay at infinity, so that after applying the Fourier transform to the product, the smoothing function becomes a rapidly decaying factor which simplifies many further analytic manipulations. Thus, this technique may be interpreted also as some form of regularization. The effect is the trick is thus to eliminate some purely analytic problems of convergence which are otherwise unrelated to the main issue of interest. This trick is often especially useful in situations where the other argument of the product involved is non-negative. In particular, it is very relevant for asymptotic counting problems in analytic number theory and related fields. It may also fruitfully be combined with dyadic partition arguments (see this (unwritten) tricki article). Prerequisites: Real analysis and integration theory, complex analysis for some applications. Elementary harmonic analysis (such as Fourier transforms, or Mellin transforms, depending on the type of applications). In particular, the two facts indicated above (behavior with respect to product, and exchange of regularity and decay) are important. exists and coincides with f.
is the so-called Dirichlet kernel of order N. This convolution expression is very useful to investigate when the partial sums converge to f(x), but it is well-known that some regularity assumptions on f are needed: there exist integrable functions f such that the Fourier series diverges almost everywhere, as first shown by Kolmogorov. which is more regular: it is continuous on R. Intuitively, one may expect a better analytic behavior of those modified sums because of the averaging involved (by the second expression for the Fejér sums), or because the “smoother” cut-off at the end of the interval of summation implies that those sums should be less susceptible to sudden violent oscillations of the size of the Fourier coefficients. for all x if f is continuous. (And in fact, if f is of class C1, it is also easy to deduce that the original partial sum do converge, proving Dirichlet’s theorem on the convergence of Fourier series for such functions). T. Tao mentioned in his comments that the modern version of this example, in harmonic analysis, is the theory of Littlewood-Paley multipliers, and that they are particularly important in the study of partial differential equations and the associated spaces (such as Sobolev spaces). [A reference for this will be added soon]. behaves like a Dirac function at the origin, hence the right-hand side of the smoothed formula converges to f(t). Note. In these two first examples, one can see the “regularization” aspect very clearly, and one could also invoke more abstract ideas of the theory of distributions to express the same arguments. (For instance, for Example 2, one can say that Fourier inversion holds for the Dirac measure with Fourier transform 1, and that the formal properties involving convolution then extend the formula to more general functions). In the next examples, involving analytic number theory, it is often of the greatest importance to have explicitly quantitative estimates at all steps, and this is often more easily done using computations with functions instead of distributions. However, which functions are used for smoothing is often of little importance. provided it converges at least in some half-plane where the real part of s is larger than some C.
Now we are free to use any technique of complex analysis to try to estimate this integral. The usual idea is to move the line of integration (using Cauchy’s theorem) as far to the left as possible (since the modulus of xs diminishes when the real part of s does). For this, clearly, one needs to know how far D(s) can be analytically continued, but it is equally important to have some control of the integrand high along vertical lines to justify the change of line of integration, and this depends on the decay properties of the Mellin transform at infinity, which amount exactly to the regularity properties of φ itself. If φ was the characteristic function of the interval [1,x], then the Mellin transform only decays like 1/s for s high in a vertical strip, and multiplying this with any functions D(s) which does not tend to 0 leads, at best, to conditionally convergent integrals. On the other hand, if φ is compactly supported on [0,+∞[, it is very easy to check that the Mellin transform is not only holomorphic when the real part of s is positive (which allows changing the contour of integration that far), but also it decaysfaster than any polynomial in vertical strips, so that any D(s) which has at most polynomial growth in vertical strips can be involved in this manipulation. 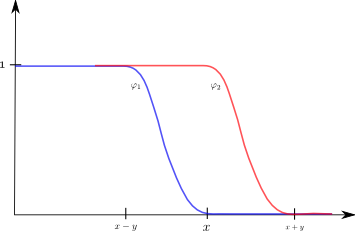 for some constant C, uniformly for σ in any bounded interval and |t|>1). and it is typically proved by smoothing techniques. (Though there are also arguments involving the Euler-Maclaurin formula). where the point is that the smoothing in B(x) is the reason for the appearance of the factor s-2, which itself allows the integral to converge absolutely, even after shifting the integration to a contour close to but to the left of the line where the real part of s is 1. Hadamard adds (see the last page) a remark that, in so doing, he avoids the well-deserved criticisms levelled by de la Vallée Poussin against those arguments which, being based on A(x) itself, involve an integral with merely a factor s-1, which do not converge absolutely. The last step of the proof is then an easy argument, using the fact that A(x) is increasing, that shows that the asymptotic formula for B(x) implies the expected asymptotic formula for A(x), i.e., the Prime Number Theorem. There is nothing special about suing this particular form of smoothing; almost any kind would work here. and this would follow from the Riemann Hypothesis. Note. It is of course the case that the proof of the Prime Number Theorem involves much more than this trick of smoothing! However, it is clearly the case that trying to dispense with it — as can be done — means spending a lot of energy dealing with purely analytic issues of convergence and exchange of sums and integrals, which become completely obvious after smoothing. 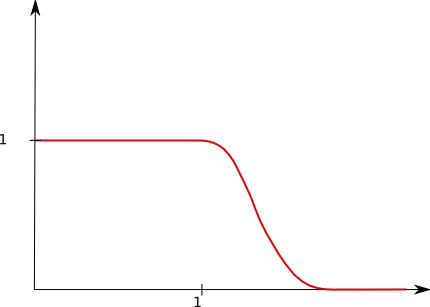 if r is distinct from s.
which can be evaluated and transformed, for instance, by Poisson’s formula to exploit the rapid decay of the Fourier transform of φ. The best functions for this particular example (leading to the inequality with N-1+1/δ) are remarkable analytic functions studied by Beurling and later Selberg. This illustrates that whereas the particular smoothing function used is often irrelevant, it may be of great importance and subtlety for specific applications. which makes sense for all s if φ decays fast enough. The role of X is, intuitively, as the effective length of the sum. Now shift the vertical line of integration to the left; because L(s) has at most polynomial growth vertical strips (a non-obvious fact, but one that can be proved without requiring much specific information because of the general Phragmen-Lindelöf principle) and because the Mellin transform of the smooth function φ decays faster than any polynomial, this shift is easy to justify. This can be estimated fairly easily if c is very negative, but one can also use the functional equation of L(s) to express R(X) as a sum very similar to S(X), except that s is replaced with 1-s, and the new sum has effective length roughly equal to (|t|+1)/X, where t is the imaginary part of s (the smoothing function is also different). Thus one gets, roughly, an expression for L(s) as the sum of two sums of lengths, the products of which is equal to |t|+1. This is a very general fact in the study of L-functions and of the basic tools for the study of their analytic properties. (which has effective length x), it is a simple exercise in contour integration to obtain an explicit formula which converges very well, involving a sum over the zeros of the zeta function weighted with the Mellin (or Laplace, or Fourier) transform of φ.
Generalizations of it to primes in arithmetic progressions or Dirichlet L-functions are very efficient, for instance, in finding very strong estimates — assuming the Generalized Riemann Hypothesis — for the smallest prime in an arithmetic progression, or similar problems. References: The technique of smoothing is not usually discussed in detail in textbooks. One exception is in my introductory book on analytic number theory (in French, so smooth sums are called sommes lisses or sommes lissées): see Section 2.3 in particular where the technique is introduced; it is then used throughout the book quite systematically even when — sometimes — it could be dispensed with. For details of Examples 4, 5, 6, 7, 8, one can look in my book with Henryk Iwaniec (see Chapters 5 and 7 in particular), although the technique is used there without particular comments.